Associate Professor Luke Kellett, UMF sustainability coordinator and Professor Tom Eastler pour food scraps into the Farmington Compost Cooperative's pile at the transfer station. FARMINGTON - A little more than year in, and a cooperative venture between town, state and university is already starting to see some serious waste. But there's always room for more. The Farmington Compost Cooperative grew out of one of first casualties of Sandy River Recycling's Association's scale-down: the elimination of its popular composting program in December 2013. 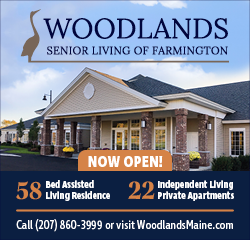 The association would dissolve in June 2014, but not before Tom Eastler, a professor at the University of Maine at Farmington and a member of the planning board, approached its executive board about having the town acquire the composting component of SRRA's operation. Eastler then went to the Farmington selectmen, suggesting that a coalition of volunteers could be formed to reopen the site. Selectmen agreed, on the condition that the operation would run at no cost to the town, and accepted transfer of SRRA's state composting license. They gave Eastler two years to get the project underway. 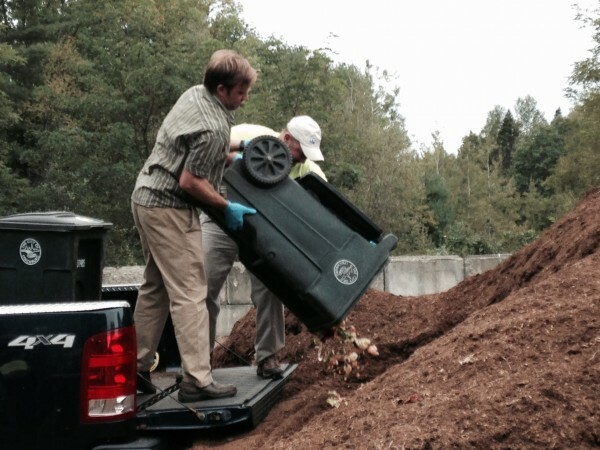 Within the first two semesters at UMF, the primary producer of the Farmington Compost Cooperative's food scraps, the pile cleared 11 trash cans of waste each pickup day: Monday, Wednesday and Friday. That represented 33 cans, or approximately 2,000 pounds a week. Over the course of a single semester, that's 16 tons pulled out of the waste stream. That represents food scraps from UMF dining halls, a few resident halls and the Sweatt-Winter Child Care and Early Education Center. Now, organizers are looking at drawing in the Mt. Blue Campus, plus other local restaurants and other businesses. "We want to grow at the right pace," UMF Associate Professor Luke Kellett said. He is the UMF sustainability coordinator, and his students provide the transportation means and muscle. MBC added their contributions to the pile last week. The Homestead Bakery had expressed interest, as have other businesses. Further down the line, Eastler and Kellett suggested, drop-offs for residential vegetable waste might be organized. The Cooperative works like this: the town owns the land and the concrete pile, after the SRRA deeded both to Farmington in 2014. The pad, poured in 2005, is located near the Farmington Transfer Station and the former-SRRA recycling center, recently auctioned off to Archie's. UMF provides the means to transport waste to the site, using either vans or a dump truck, and volunteers from the UMF Sustainable Campus Coalition. Eastler provides his time and tractor, turning and reshaping the pile. 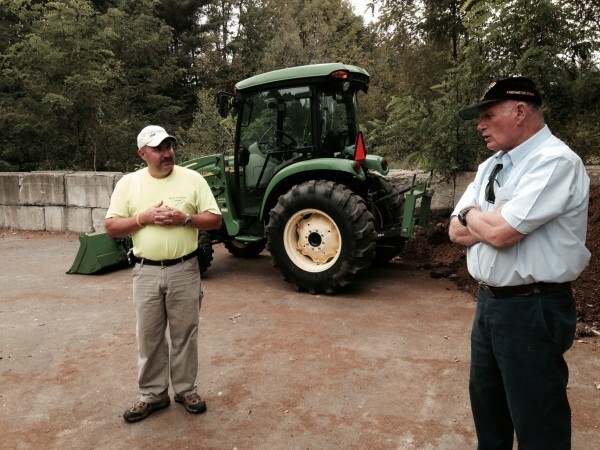 "Trucking and transportation are the number one thing that can kill a compost pile," Mark King said. An environmental specialist in the Maine Department of Environmental Protection's sustainability unit, King provides expertise for the Cooperative. He also heads the Maine Compost School, which grew out of the 1990s, when the state began focusing on pulling material out of the waste stream. His students were at the site Tuesday, along with a UMF environmental class, plus the UMF SCC students turning the pile. To provide educational opportunities about composting, Eastler noted, was one of the central missions of the Cooperative. "We want to educate, K through 12, then right through college," Eastler said. The Cooperative maintains two piles, one to mix food scraps into amendments - mostly stall sweepings from the Farmington Fairgrounds. Mixing the carbon provided by the wood shavings and animal feces and the nitrogen provided by food scraps with the proper amounts of air and water creates compost that is eventually moved to the second pile. It is sold in batches on the weekends. The 16 tons a semester estimate is probably low, according to organizers, and the addition of the Mt. Blue Campus and, in the future, other local producers is expected to further increase production. "We're basically carrying on what Ron [Slater, the operator of the compost pile under SRRA, as well as the association's manager] and Mark [King] were doing," Kellett said. Mark King, with the Department of Environmental Protection, and Professor Tom Eastler describe the operation. 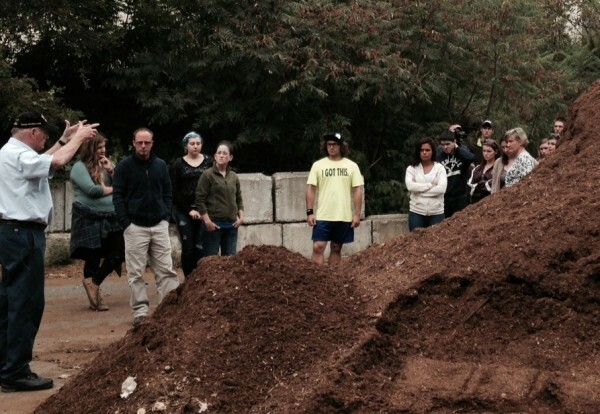 Professor Tom Eastler details the composting process to UMF students visiting the site. I have purchased some of their compost for my flower beds . I intend to purchase more for my new asparagus beds in the spring . My parents for years placed their food scraps on their garden to enrich the soil. I have used horse manure for years for my rhubarb and my mother's roses . I am happy about this effort to teach composting to UMF students.